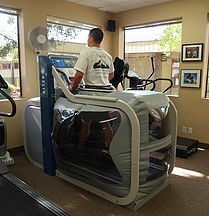 We have the treadmill that lets you take up to 80% of your body weight off!!!! If you are looking to train, lose weight, or return from an injury….this is for you. Come in for a trial.